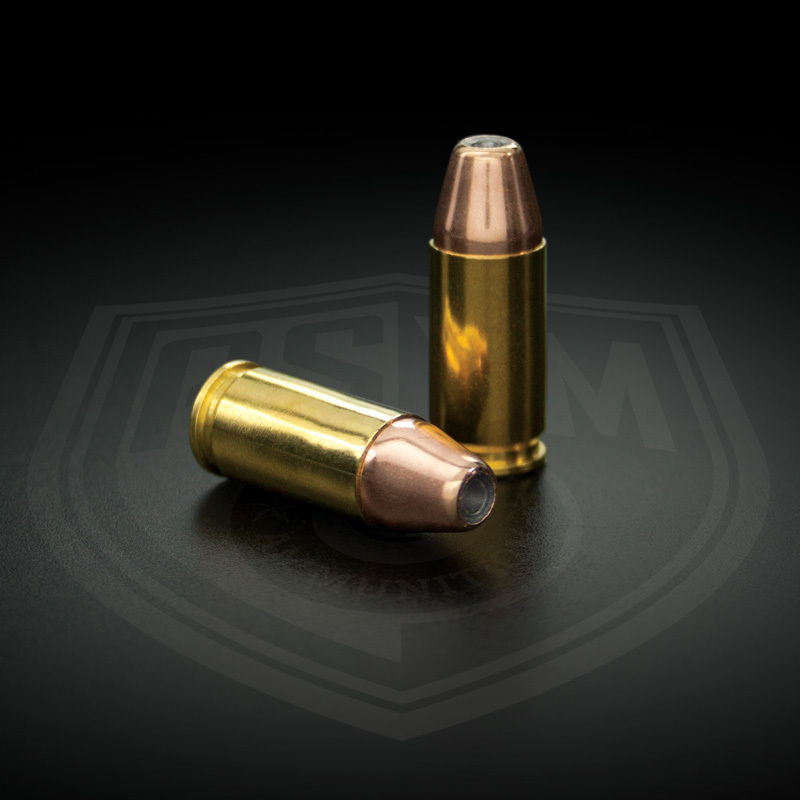 Are you ready to start tailoring your 9mm cartridge to your weapon and applications? It is about time! Well now here comes the great debate on what grain bullet weight to use and why it matters. What is the main things you should look for when deciding on your ammunition for competition? In the post we will be explain the differences and primary uses of the 115gr vs the 147gr and why we have chosen to them over the 124gr. Here we will cover some deciding factors in picking your next ammunition. The 147gr Practical Match has been a flagship round in the 9mm caliber. This ultra -soft shooting 9mm load has been customized to bring the greatest knock down power and keep your sights dead on target. We built this load for use in competitions that require you to knock down steel and transition between targets with improved accuracy. We have decided to use the 147gr vs 124gr because the reduced recoil from the heavier projectile greatly improves the shooters confidence. This round was designed to be the softest shooting minor power factor for USPSA and IPDA coming in at a power factor of 134.5. This round was used by Team Smith and Wesson, Captain Julie Golob, to win the 2010 Single Stack National Ladies title and 2010 IDPA National Ladies title. This round also helped Nils Jonasson to win the 2015 IDPA Indoor Nationals and 2015 IDPA World Championships. This round is great for first time shooters and skilled fire arm enthusists. This is the exact load used by Team Smith and Wesson Captain Julie Golob to win 2 World Titles at the 2010 Steel Challenge. Action Match was purpose built for Steel Challenge and NRA Action Pistol/Bianchi Cup competitions. We start by using high quality Starline virgin brass. From there we add premium VhitaVuori powder to create an ultra-consistent and clean burning platform. Using USA made OEM primers loaded to consistent depths ensures not only safety but consistency in firing thought the load. Finally, we use an 115gr Zero jacketed hollow point projectile. The hollow point helps in creating extreme accuracy for this load. Our Action Match has been known to produce groups of 1.5” or less from factory firearms at 25 yards. It is widely known that ammunition is one of the bigger factors for accuracy in weapons. So if you are looking to remove any doubt as to whether your ammunition is decreasing your accuracy, then this is the perfect round for you. As always, ASYM maintains a high level of quality control with all of our products. Each round is case gauged as well as visually inspected to ensure that you receive the highest quality product possible. This level of quality control allows us to have industry leading accuracy and precision from our products. This load demonstrates elevated accuracy and snappy recoil to keep your sights on target. Here is a bullet that proves to be useful however we have found that the above bullets out perform in accuracy and knock down power. Our team is still searching to bring a 124gr 9mm cartridge that will perform to our standards. Be sure to check back in with us soon! When deciding on your next 9mm load for either competition, defensive or just the range, getting the right bullet to meet your needs is crucial. The 115gr dominates accuracy while having snappy recoil and the 147gr has hardly any recoil and has dead nuts accuracy. So how can WE help you decided on your next 9mm round? Use discount code “115gr vs 147gr” at check out to receive 10% off all 9mm product to try for yourself! A blessed and happy holidays to everyone! !